Many organizations still rely on security solutions with inherent limitations. 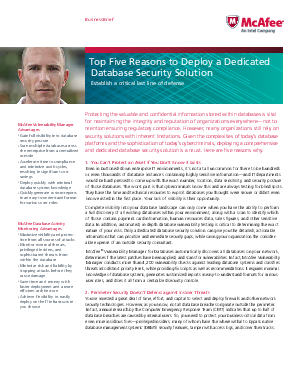 Given the complexities of today’s database platforms and the sophistication of today’s cybercriminals, deploying a comprehensive and dedicated database security solution is a must. Here are five reasons why.